Disney’s "A Wrinkle in Time" is an epic adventure based on Madeleine L’Engle’s timeless classic which takes audiences across dimensions of time and space, examining the nature of darkness versus light and, ultimately, the triumph of love. Through one girl’s transformative journey led by three celestial guides, we discover that strength comes from embracing one’s individuality and that the best way to triumph over fear is to travel by one’s own light. The film stars Oprah Winfrey, Reese Witherspoon, Mindy Kaling, Gugu Mbatha-Raw, Michael Peňa, Storm Reid, Zach Galifianakis and Chris Pine. 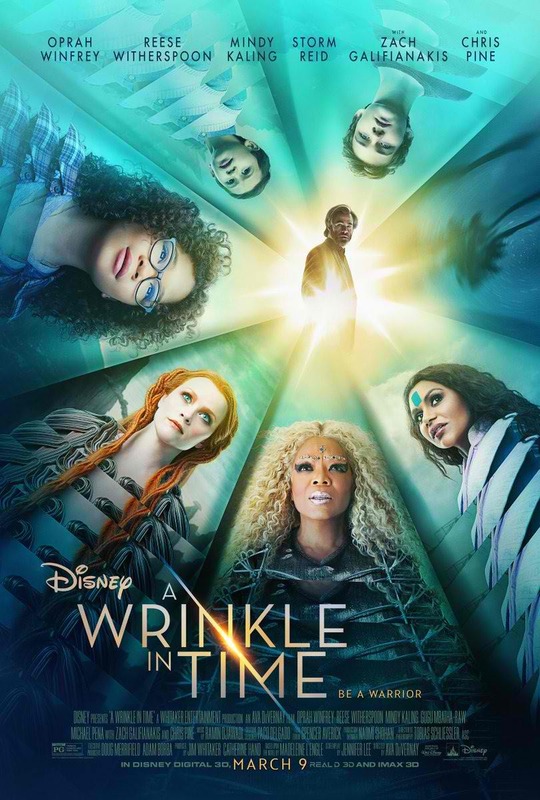 "A Wrinkle in Time" is distributed by The Walt Disney Company (Philippines). Watch "A Wrinkle in Time" in Philippine cinemas in March 2018.